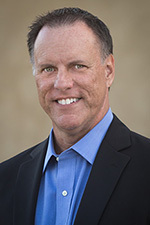 TLS offload | Richard M. Hicks Consulting, Inc. When Always On VPN clients are configured to use the Secure Socket Tunneling Protocol (SSTP) with Windows Server Routing and Remote Access Service (RRAS), administrators may encounter a scenario in which a client can establish a VPN connection using SSTP successfully, but is then disconnected immediately. The system event log contains an entry with Event ID 6 from the RasSstp source that includes the following error message. The two most common causes of this issue are when SSTP is configured for SSL offload, and when a VPN client is on a network where SSL inspection is taking place. The most common cause of this issue is when SSL offload is configured for SSTP on an external load balancer or application delivery controller (ADC). To prevent interception from a Man-in-the-Middle attack, the VPN client sends the certificate hash of the SSL certificate used when the VPN connection was established. If this information does not match what is configured on the RRAS server, the connection is assumed to be compromised and the connection is immediately dropped. Another scenario where this issue may occur is when a VPN client is behind a network device configured to perform SSL deep-packet inspection (DPI). SSTP VPN clients will be unable to connect to the VPN server in this scenario. When offloading SSL to another device, the RRAS server must be configured to know which SSL certificate is being presented to remote clients. This information is stored in the following registry key. However, this registry entry requires a binary value, which makes it a challenge to configure manually. To resolve this problem, it is recommended that the same SSL certificate installed on the load balancer/ADC also be installed on the VPN server (even though SSL will be offloaded). To do this, first import the SSL certificate and private key in to the Local Computer certificate store, then open the RRAS management console and perform the following steps. Right-click the VPN server and choose Properties. Uncheck Use HTTP in the SSL Certificate Binding section. Select the appropriate SSL certificate from the Certificate drop-down list (click View to verify). This will add the correct SSL certificate information to the registry. Next, re-enable HTTP for SSL offload by performing the following steps. Check Use HTTP in the SSL Certificate Binding section. If the SSL certificate cannot be installed on the VPN server, or to automate this configuration across multiple servers remotely, download and run the Enable-SstpOffload PowerShell script from my GitHub repository here and run the following command. The Windows Server Routing and Remote Access Service (RRAS) is a popular choice for a VPN server to support Windows 10 Always On VPN deployments. One significant advantage RRAS provides is support for the Secure Socket Tunneling Protocol (SSTP). SSTP is a Microsoft proprietary VPN protocol that uses Transport Layer Security (TLS) to ensure privacy between the VPN client and server. The advantage to using a TLS-based transport is that it leverages the standard HTTPS TCP port 443, making it firewall friendly and ensuring ubiquitous remote access even behind highly restrictive firewalls. Load balancing SSTP can be accomplished in much the same way as a load balancing a common web server using HTTPS. The external load balancer is configured with a virtual IP address (VIP) and each VPN server is configured behind it. Session persistence should be configured to use SSL with source IP address persistence as a fallback. In most cases, simply forwarding encrypted SSTP connections to the VPN server will be sufficient. However, offloading SSL/TLS processing to an Application Delivery Controller (ADC) or load balancer can be beneficial for the following reasons. Enabling TLS offload for SSTP VPN connections can reduce CPU and memory utilization on the VPN server. However, this will likely only be necessary for very busy servers supporting many concurrent connections. In some cases, the administrator may not be able to install the public SSL certificate on the VPN server. For example, a security policy may exist that restricts SSL certificate installation to dedicated security devices using a Hardware Security Module (HSM). In some cases, it may be desirable to restrict access to high value certificates such as wildcard certificates. Often SSL certificates are implemented on load balancers to reduce certificate sprawl and to ease the management and administration burden in the enterprise. By having all enterprise certificates installed only on dedicated security devices, administrators can more effectively monitor and manage SSL certificate lifecycles. Configuration changes must be made on the load balancer and the RRAS server to support TLS offload for SSTP. Install the public SSL certificate on the load balancer and configure it for TLS termination. Configure the load balancer to then use HTTP for backend server connections. Consult the load balancer vendor’s documentation for configuration guidance. If the public SSL certificate is installed on the VPN server, enabling TLS offload for SSTP is simple and straightforward. Follow the steps below to enable TLS offload for SSTP VPN connections. Open the RRAS management console (rrasmgmt.msc). Click Ok and then Yes to restart the Remote Access service. If the public SSL certificate is not or cannot be installed on the RRAS server, additional configuration will be required. Specifically, SSL offload for SSTP must be configured using the Enable-SSTPOffload PowerShell script, which can be downloaded here. Once the script has been downloaded and imported, open an elevated PowerShell command window and enter the following command. Communication between the DirectAccess client and server takes place exclusively over IPv6. When DirectAccess servers and/or clients are on the IPv4 Internet, an IPv6 transition technology must be employed to allow those clients to connect to the DirectAccess server. DirectAccess deployment best practices dictate that only the IP-HTTPS IPv6 transition technology be used. IP-HTTPS uses SSL/TLS for server authentication and optionally encryption. To improve security and performance for IP-HTTPS, an Application Delivery Controller (ADC) like the Citrix NetScaler can be configured to perform SSL offloading and client preauthentication for DirectAccess IP-HTTPS connections. Enabling SSL offload and IP-HTTPS preauthentication on an ADC for DirectAccess is formally unsupported by Microsoft. SSL offload should not be enabled with DirectAccess is configured to use one-time password (OTP) authentication. Offloading SSL will break OTP functionality. The IP-HTTPS IPv6 transition technology is a simple and effective way to allow DirectAccess clients and servers to communicate by encapsulating IPv6 traffic in HTTP and routing it over the public IPv4 Internet. However, there are two critical issues with the default implementation of IP-HTTPS in DirectAccess. One is a security issue, the other affects performance. The DirectAccess server does not authenticate clients establishing IP-HTTPS connections. This could allow an unauthorized client to obtain an IPv6 address from the DirectAccess server using the IPv6 Neighbor Discovery (ND) process. With a valid IPv6 address, the unauthorized user could perform internal network reconnaissance or launch a variety of Denial of Service (DoS) attacks on the DirectAccess infrastructure and connected clients. More details here. Windows 7 DirectAccess clients use encrypted cipher suites when establishing IP-HTTPS connections. However, the payload being transported is already encrypted using IPsec. This double encryption increases resource utilization on the DirectAccess server, reducing performance and limiting scalability. More details here. Note: Beginning with Windows Server 2012 and Windows 8, Microsoft introduced support for null encryption for IP-HTTPS connections. This eliminates the needless double encryption, greatly improving scalability and performance for DirectAccess clients using IP-HTTPS. The Citrix NetScaler can be configured to perform SSL offload to improve performance for Windows 7 DirectAccess clients using IP-HTTPS. Since DirectAccess does not natively support SSL offload, the NetScaler must be configured in a non-traditional way. While the NetScaler will be configured to terminate incoming IP-HTTPS SSL connections, it must also use SSL for the back-end connection to the DirectAccess server. However, the NetScaler will be configured only to use null cipher suites when connecting to the DirectAccess server. Even though Windows 7 clients will still perform double encryption to the NetScaler, this configuration effectively offloads from the server the heavy burden of double encrypting every IP-HTTPS connection for all connected DirectAccess clients. This results in reduced CPU utilization on the DirectAccess server, yielding better scalability and performance. 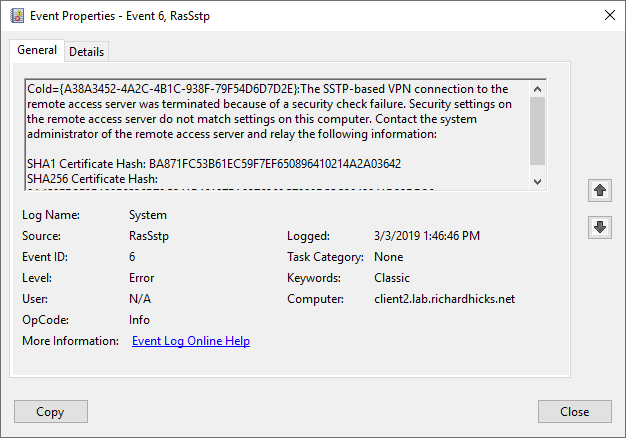 Offloading SSL for Windows 8.x/10 clients will not improve performance because they already use null cipher suites for IP-HTTPS when connecting to a Windows Server 2012 or later DirectAccess server. However, terminating SSL on the NetScaler is still required to perform IP-HTTPS preauthentication. The following configuration for Citrix NetScaler can be performed on any release of the VPX virtual ADC platform. However, be advised that there is a known issue with older releases on the MDX and SDX hardware platforms that will prevent this from working. For MDX and SDX deployments, upgrading to release 11.1 build 50.10 or later will be required. To enable SSL offloading for DirectAccess IP-HTTPS on the Citrix NetScaler, open the NetScaler management console, expand Traffic Management and Load Balancing, and then perform the following procedures in order. In the Name field enter a descriptive name for the first DirectAccess server. In the IP Address field enter the IP address of the first DirectAccess server. Repeat these steps for any additional servers in the load-balanced cluster. In the Service Name field enter a descriptive name for the service. Select Existing Server from the Server drop-down list. 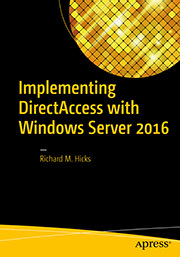 Choose the first DirectAccess server in the cluster. Choose SSL from the Protocol drop-down list. In the Protocol section uncheck SSLv3. Type NULL in the Search Ciphers box. Check the box next to the first entry for SSL3-NULL-SHA. Click the right arrow to add the cipher to the list. A warning message may be displayed indicating that no usable ciphers are configured on the SSL vserver/service. This message can be safely ignored. In the Name field enter a descriptive name for the virtual server. In the IP Address field enter the IP address for the virtual server. Note: When enabling load balancing in DirectAccess, the IP address assigned to the first DirectAccess server is reallocated for use as the load balancing Virtual IP Address (VIP). Ideally this IP address will be assigned to the load balancing virtual server on the NetScaler. However, this is not a hard requirement. It is possible to configure the VIP on the NetScaler to reside on any subnet that the load balancer has an interface to. More details here. In the Services and Groups section click No Load Balancing Virtual Server Service Binding. Click on the Select Service field. Check all DirectAccess server services and click Select. In the Certificate section click No Server Certificate. Click on the Select Server Certificate field. Choose the certificate to be used for DirectAccess IP-HTTPS. Type ECDHE in to the Search Ciphers box. Check the box next to TLS1-ECDHE-RSA-AES128-SHA. Type NULL in to the Search Ciphers box. Check the box next to SSL3-NULL-SHA. Note: If Windows 8.x/10 clients are supported exclusively, SSL3-NULL-SHA is the only cipher suite required to be configured on the virtual server. If Windows 7 client support is required, the TLS1-ECDHE-RSA-AES128-SHA cipher suite should also be configured on the virtual server. Note: If Windows 8.x/10 clients are supported exclusively, TLSv1 can also be unchecked on the virtual server. If Windows 7 client support is required, TLSv1 must be enabled. In the Advanced Settings section click Persistence. Enter 10 minutes for the Time-out (mins) value. To enable IP-HTTPS preauthentication to prevent unauthorized network access, perform the following procedures on the Citrix NetScaler appliance. Expand Traffic Management, Load Balancing, and then click Virtual Servers. 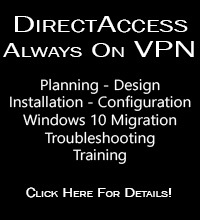 Select the DirectAccess virtual server and click Edit. In the Certificate section click No CA Certificate. Click the Select CA Certificate field. Choose the certificate for the CA that issues certificates to DirectAccess clients and servers. Note: The CA certificate used for DirectAccess can be found by opening the Remote Access Management console, clicking Edit on Step 2, and then clicking Authentication. Alternatively, the CA certificate can be found by running the following PowerShell command. Choose CRL Optional from the CRL and OCSP Check drop-down list. Check the box next to Client Authentication. Choose Mandatory from the Client Certificate drop-down list. Leveraging the advanced capabilities of the Citrix NetScaler ADC can improve performance when supporting Windows 7 clients and enhance security for all DirectAccess clients using IP-HTTPS. In terms of supportability, all of the changes described in this article are completely transparent and do not alter the native DirectAccess client or server configuration. If a Microsoft support engineer declines support due to this configuration, switching from SSL offload to SSL bridge is all that’s required to restore full supportability.